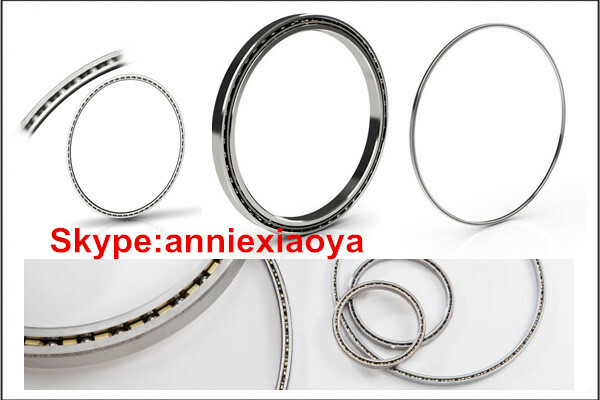 Thin-walled bearings for extremely thin section bearing, but also to achieve a product miniaturization and lightweight. Diversity of products has expanded its range of purposes. In order to obtain a low friction bearing torque, high rigidity, good rotation accuracy, use a small diameter steel balls. Using a hollow shaft, ensuring lightweight space and wiring. Thin-walled bearings for extremely thin section bearing, but also to achieve a product miniaturization and lightweight. Diversity of products has expanded its range of purposes. Thin-walled 6700,6800 series dust cover various forms, forms with flange, stainless steel form, wide forms and other varieties. The purpose is to reduce the lubrication of rolling bearings inside the bearing friction and wear, to prevent burning stick, lubrication utility as follows. In the mutual contact portion of the ferrule, and the rolling elements constituting the bearing retainer, to prevent the metal contacts, reducing friction and wear. Extend the fatigue life of rolling fatigue life, in rotation, the rolling contact surfaces oiled, is extended. Conversely, low viscosity oil, lubricant film thickness is not good, is shortened. You can cycle to the oil law and other oil heat generated by the friction of the discharge, or heat coming from the external cooling. Prevent bearing overheating and prevent oil itself aging. Also prevent dust and debris inside the bearing, or prevent rust, corrosion effect. Different kinds and sizes of thin-walled deep groove ball bearings, the installation methods and tools is not the same, which has a mechanical or hydraulic. This is mainly to explain some common installation method and some basic precautions. First, do not install on a ball hard, it will cause local overloading ball and the contact surface, resulting in premature bearing failure. Second, do not use hard tools, such as hammers, beat the bearing surface screwdriver and the like, which would allow the bearing outer ring fracture or crack. Clean environment is very important for bearings. 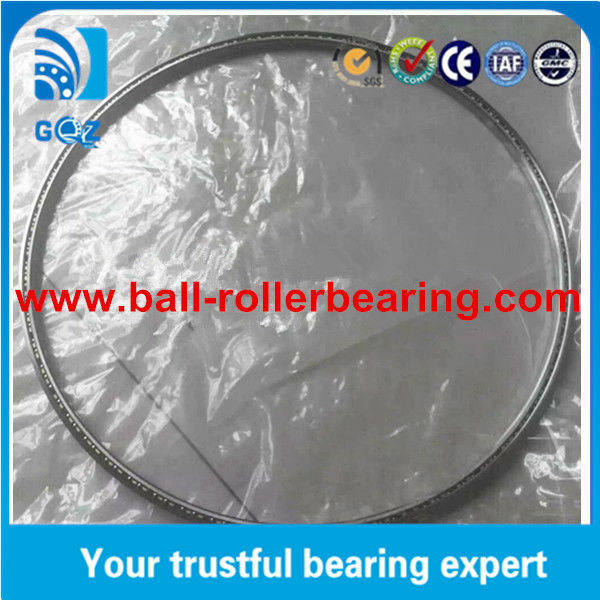 Thin wall deep groove ball bearing ring rolling surface and rolling element surface roughness precision about 1/10 μm, so that a smooth ball surface if contaminated, the impact is very serious. Lubricating layer between the rolling surface is generally 0.2 ~ 1 μm, greater than the size of the particles of lubricant-type impurity will be rolling over the rolling elements in aligning roller bearing steel produced in the partial pressure will eventually lead to permanent materials fatigue. In addition to this, the external environment in the dust particle size of up to 10 μm, spherical roller bearings will swap damage. Because of this, how important clean working environment for the bearing is ah. During use heat to dry up by induction bearing operating temperature, if the temperature exceeds a predetermined limit will automatically alarm if found, to prevent burning shaft conditions. Often represented by high-temperature bearings in unusual circumstances. High temperature is also harmful to the bearing lubricant. Sometimes thin-walled deep groove ball bearing overheating can be attributed to the bearing lubricant. If the bearing temperature over 125 ℃ even move to reduce long-term bearing life. 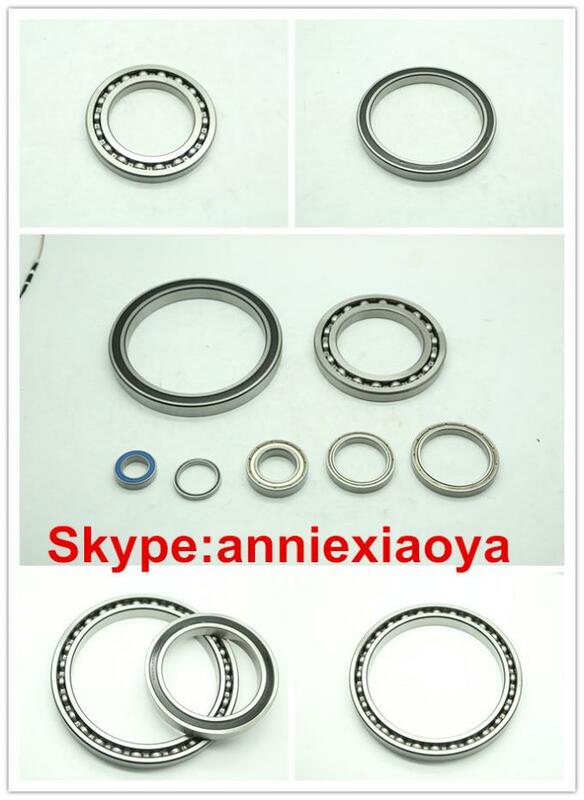 Causes high temperature bearings include: insufficient lubrication bearing lubricant may be unqualified, which contains impurities, when the load is too large may also be enough space inside the bearing seal that friction and so on. industrial packaging or as your requiremen.